Technical sales can be defined as the combination of one’s skills in sales with his technical knowledge and skills with an aim of providing great advises and support to the clients of a variety of products. If you work in a technical sales department, then expect your clients to be part of the technical staff of non-retail organizations including public utility providers, hospitals, local authorities and factories. The process of combining your technical knowledge and skills with sales is quite complex so you should consider getting a technical sales certification if you want to become an expert in this field. You have to increase the level of your technical knowledge while also improving your skills in selling so it will be easier for you to deal with your clients. If you want to become a technical sales expert, then it is advisable for you to improve your skills in providing pre-sales and after-sales advises to your present and potential clients. It is also important for you to increase your knowledge about how you can regularly liaise with your colleagues in various departments including production, purchasing, quality, design and research and development and with any other member of your sales team. It should also be noted that the entire technical sales process involves looking for new customers who can receive benefits from the products and services that you offer, establishing long-term and stronger relationships with your clients by effectively interpreting and managing their requirements, analyzing both sales and costs, calculating the quotations of your clients and effectively controlling their accounts. Improving your technical sales skills is never impossible with the Brainmeasures technical sales certification program around. Brainmeasures is a legitimate online certification company which can surely meet your demands and requirements when trying to receive the most comprehensive training and learning experience that can transform you into an effective technical sales expert. 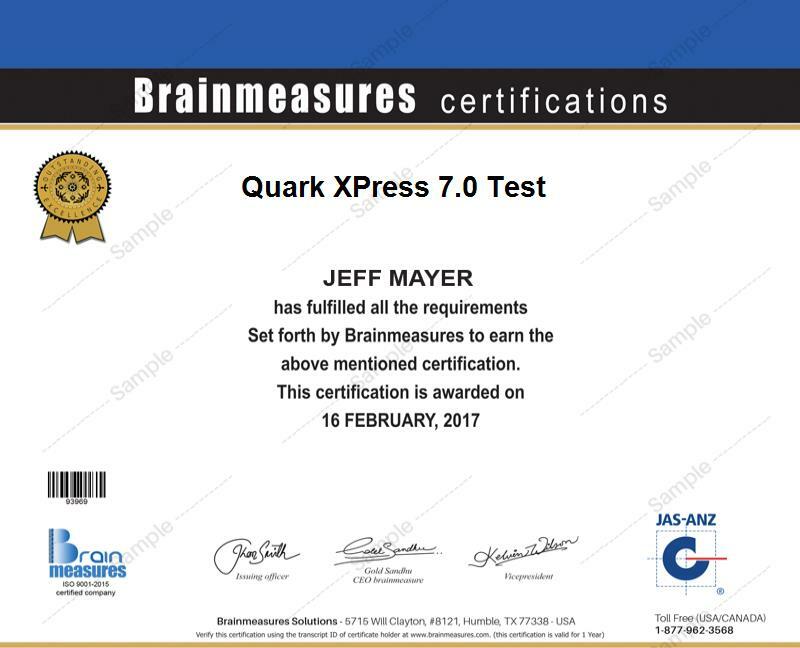 Brainmeasures is certified by ISO so you are assured of its legitimacy and the authenticity of its technical sales course. The entire program together with the technical sales exam are expertly developed by professionals so expect to get not only the most comprehensive training but also the most reliable assessment of your knowledge in the field. You have to pass the exam before you can grab a copy of your technical sales certificate. The technical sales certification program offered by Brainmeasures can cater to the needs of everyone who has technical knowledge and wishes to start selling technical products and services to the public. It is also perfect for professionals who want to become part of the technical sales department of an organization. A higher salary is also something that you can expect from becoming a technical sales expert. You can expect your annual earnings to be around $58,000 to $149,000 after receiving your technical sales certification.